Player transfers from the continent are reaching higher and higher levels. A trend that should continue with the generation of Salah, Mané or Koulibaly. The record of the most expensive transfer of the world remains for the time in the hands of Paris-Saint-Germain. If the Brazilian Neymar, bought at FC Barcelona in August 2017 for 222 million euros, is at the heart of this transaction, there is no reason to believe that tomorrow it will be Africans. Already, their rating continues to rise. Not far from the legendary Brazilian, the Egyptian striker Mohamed Salah (Liverpool FC) is 200 million euros and his teammate in club, Senegalese Sadio Mané, to 130 million euros, as Kalidou Koulibaly who plays in Naples . "It is clear that the gap is narrowing with Europeans and South Americans, who are still the most expensive on the market. 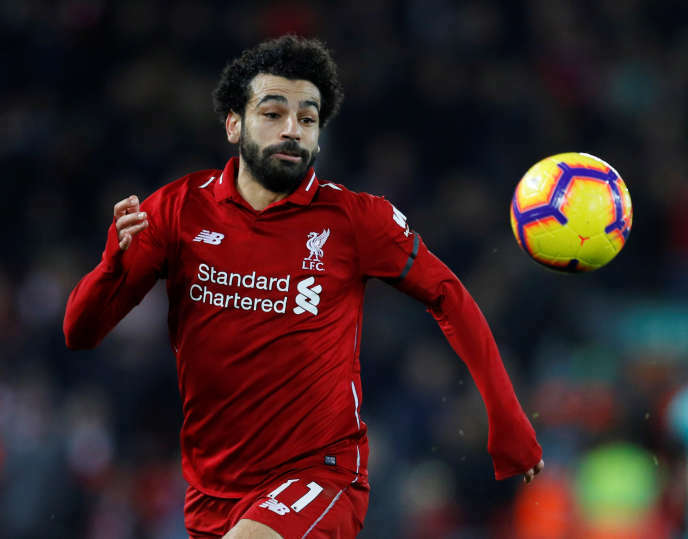 But we have seen that in recent years, the price of African transfers was rising, "said French agent Nicolas Onisse (agency Sport Back), which recalls that" Mané or Salah, for example, were acquired for about 40 million euros by Liverpool "in 2016 and 2017. Overall, this "market value" of African players is pulled up by the general price spike. In 2018, Guinean Naby Keita (from Leipzig to Liverpool), Gabonese Pierre-Emerick Aubameyang (from Dortmund to Arsenal), Algerian Riyad Mahrez (from Leicester to Manchester City) or Congolese Cédric Bakambu (from Villarreal to Beijing Guoan ) were transferred respectively for 60, 63, 68 and 74 million euro. During the 2019 transfer window, which has just ended, Dalian Yifang, a Chinese club, was even ready to pay 80 million euros to acquire the Ivorian striker in Lille, Nicolas Pépé. Proof that those belonging to the group of valued players between 50 and 80 million count many Africans. If not all clubs have several tens of millions to spend to attract a champion, all are making financial efforts to improve their selection. Dijon has just paid 4 million euros to bring to France Guinean Sory Kaba, who was living in Elche (Spanish D2). And Istanbul's Galatasaray paid Kasimpasa 12 million euros for the transfer of Senegal striker Mbaye Diagne, and was loaned Congolese (RDC) Christian Luyindama by Standard Liege, with a fixed purchase option. to 8.50 million euros. In Dijon (Ligue 1), which has ten African contracted internationals, Sebastien Larcier, the head of the recruitment cell, makes several arguments to explain that the inflation of Brazilians and other Europeans has contaminated Africa. " There is a societal context. We want more equality, at all levels, and football is concerned. Why an African player would be worth less than another? In addition, there is a new generation of agents, sometimes African themselves, who are very firm in the negotiations. "The leader still a flat, since he observes that all nationalities do not have the same craze:" The highest prices are almost exclusively players from some countries in North Africa, first. But also Senegal, Ivory Coast and the DRC in particular . Which does not mean the whole continent, far from it. His argument could be weighted by the level of national selection, which nevertheless has a direct impact on the supposed value of the players. " If Neymar has cost so much, it's because Brazil is one of the best teams in the world, " said Sébastien Larcier. At equal playing level, a Brazilian, a French or a Spaniard will often have a higher rating, because a buying club also takes into account future jerseys sales, often very lucrative, which partially offset the investment (transfer and salary) achieved for the acquisition of a player. A leader of a European club, on condition of anonymity, advances another hypothesis to explain the increasing market value of players from Africa: " The CAN [African Cup of Nations] will take place in summer and no longer in winter, an old calendar that could hesitate before buying an African who could leave for more than a month in high season. But you will always find people who avoid having too many Africans under contract, because they fear distant travel on FIFA dates. " In Africa, some clubs that have a certain financial surface can afford to refuse European offers up to 1 million euros, while others, much less fortunate, agree to let their players leave for 50,000 or 100 000 euros. " When we bring an African player to Europe, the main concern is that he plays, in order to benefit from better exposure. There are a number of Africans who arrive on the Old Continent and whose salaries are often less than 5,000 euros per month. If they get noticed, they can consider joining bigger clubs where they will be better paid, "continues Nicolas Onissé. If this remark concerns mainly Sub-Saharans, the attraction of North Africans for the Gulf countries is also more and more pronounced. Clubs in Qatar, the United Arab Emirates or Saudi Arabia are able to pay high transfers and then pay comfortable salaries to players who are not ready to make financial sacrifices. " It's a bit of a shake. Take a Maghreb who could go to French League 2 to win 6,000 euros a month, but evolving in a country of the top 5 European. Often, he will prefer to go to the Gulf, have a salary of 10,000 or 15,000 euros, even to slow down his progress, "says a player agent.